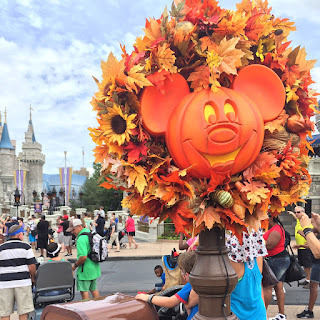 When we lived in New England we would go apple picking every fall, but now that we are in Florida we attend Mickey's Not-So-Scary Halloween Party at Magic Kingdom as our new autumn family tradition. When it's 90 degrees out it's hard to feel the change of seasons amidst palm trees instead of falling leaves. However, thanks to the decorations and activities at Walt Disney World we are able to get in the harvest spirit. The Halloween-themed event held late August - November 1 on select nights from 7:00 p.m. to Midnight. However, you can enter as early as 4 p.m. 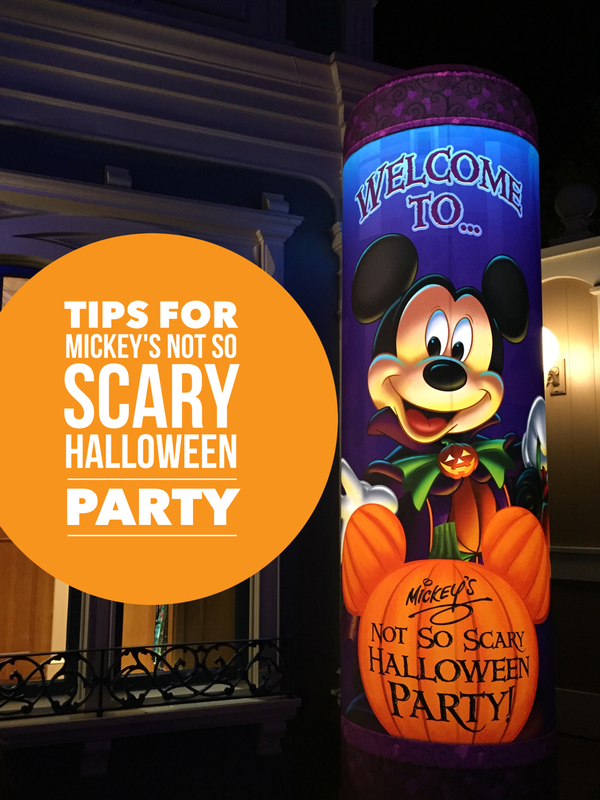 Unlike at Disney Land, Mickey's Not So Scary Party at WDW requires a separate ticket purchased outside of general admission or annual passes. Starting at $67 per child and $74 per adult (plus tax) per event ticket. 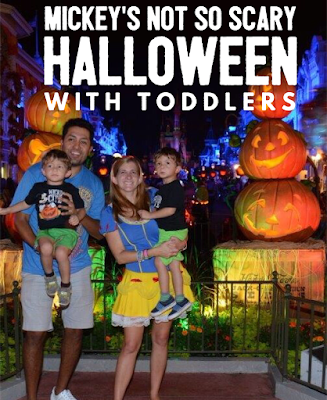 Reservations are strongly recommended ahead of time especially for dates closer to Halloween. Save $10 on your tickets compared to the day-of purchase price when you buy at least a day in advance! Day-of prices start at $85 per adult and $80 per child (ages 3-9), plus tax. You can purchase online too. 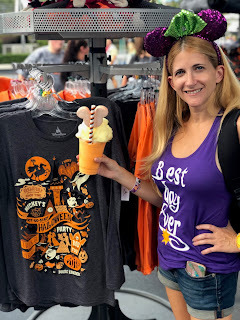 Last year, I wore a Snow White costume, which made for great photos, but this time we all wore Disney Halloween-themed t-shirts, ears and other accessories instead. 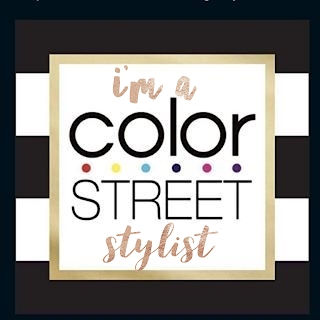 This allowed for added Halloween flair, while still being comfortable or hot. Before you arrive dressed up for the occasion though, do read the official costume guidelines at Mickey’s Not-So-Scary Halloween Party for children and adults. Besides trick-or-treating and the short queues to rides, there is a LOT to do and only one night to do it all in, so consult the schedule. 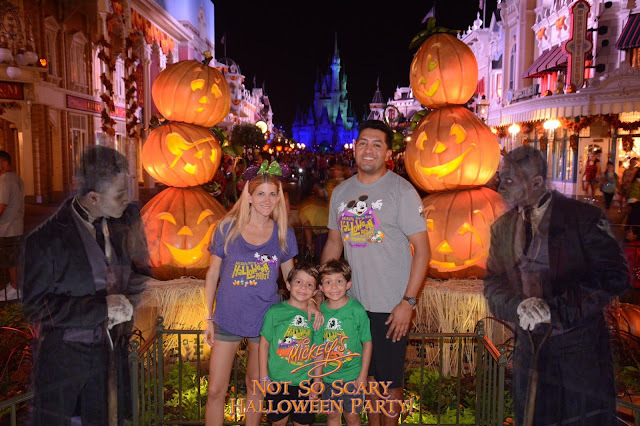 You'll recieve a special MNSSHP brochure when you enter the park. This also indicates all the treat stations, show times and exclusive food and drink locations. Last year, we missed a lot of the activities, because we were on the other side of the park. This time we were determined to see Mickey's "Boo-to-You" Halloween Parade and Happy HalloWishes Fireworks (watch my live stream here) and knowing the official show times helped us plan accordingly and get a spot ahead of time. You'll also receive a schedule and party map (2017) when you enter. So, do consult it before setting off for the rides and treats. 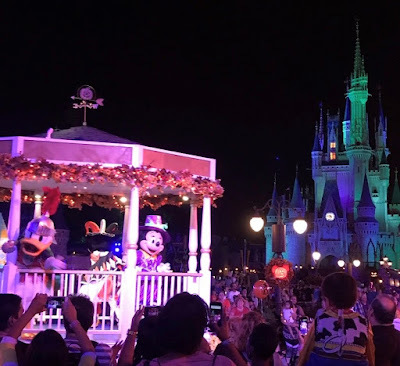 TIP: You don't have to watch the Halloween parade just from Main Street or by the castle. In fact, you can see it sooner and first by Adventureland and near Liberty Square before it makes its way past the castle and ends at the entrance to Main Street, U.S.A. The map for the party indicates the parade route, but people tend to all congregate at the center of the park. Also, the parade runs twice, if you can wait for the one after the fireworks, it's definitely less crowded. New in 2018, certain attractions have added Halloween Fun! Discover a fresh spin on the Mad Tea Party, featuring new lighting and effects. On Pirates of the Caribbean, join live pirates in their search for "Gunpowder Pete.” And on Space Mountain, hurtle through deep space with a new spooky soundtrack. 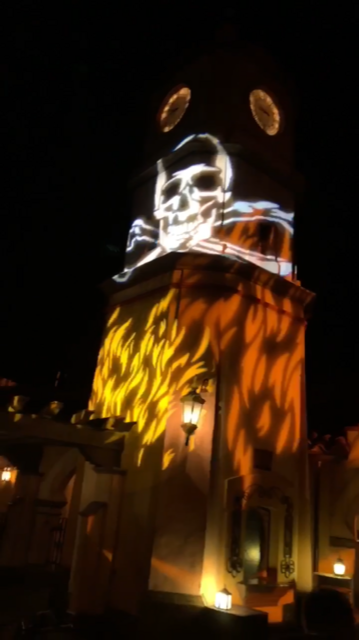 Personally, I also love visiting The Haunted Mansion, which is always ghoulishly fun, but during the party, it's lit up ultra spooky with a smoky mist outside too. I know it might be early to eat, but not all of the restaurants are open during Mickey's Not So Scary party and the ones that are, have longer than usual lines. 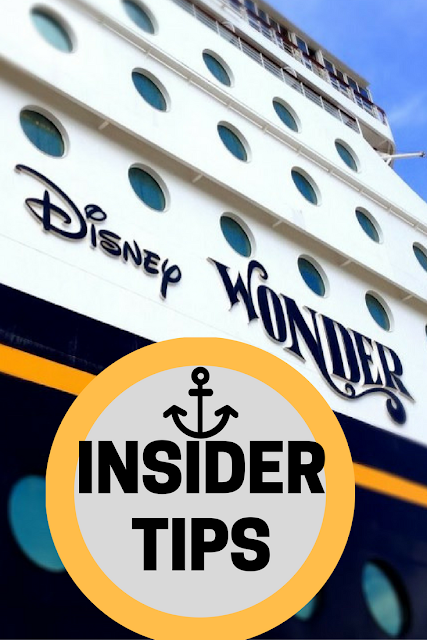 Plus, as soon as you enter you're given candy and you're going to want to eat that anyway, so my tip would be to eat a savory dinner ahead of time and get down to partying as soon as you enter. Save room for sweet treats and exclusive desserts though. The party map also lists specialty treats available during the party. 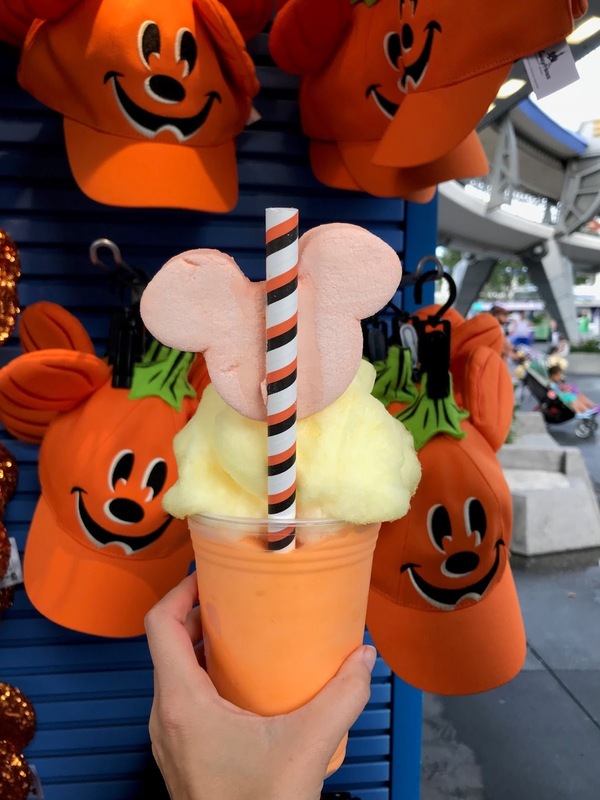 In Tomorrowland be sure and order the Candy Corn Milkshake at Auntie Gravity's Galactic Goodies. 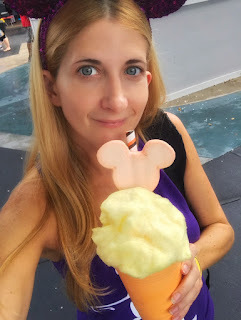 I also loved the gooey Minnie Witch Brownies at Casey's Corner on Main Street. There are a lot more delicious snacks too, just consult the Dining flap of the map. At the start of Main Street there is a great pumpkin display and photo spot that is a must, but the lines in the beginning of the party are quite long and it can be blocked off at times due to the parade or cast members guiding non-party guests towards the exit. However, after fireworks, the line was less. Also, guests can receive special Halloween-themed Magic Shots and Animated Magic Shots during Mickey’s Not-So-Scary Halloween Party. 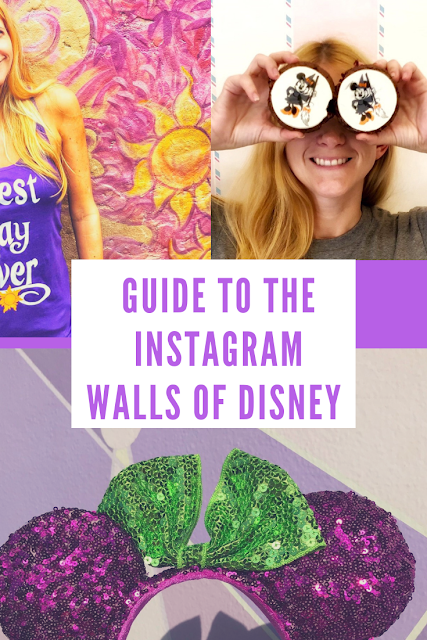 The following PhotoPass locations include bewitching Polter-Guests that will magically materialize in your photos! 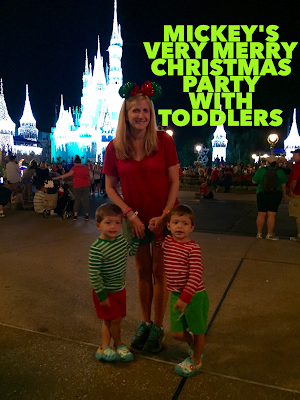 We had the added surprise of ghosts joining our family photo. Hex-clusive Disney PhotoPass Op locations include the Main Entrance, Main Street, Haunted Mansion and U.S.A. Liberty Square. 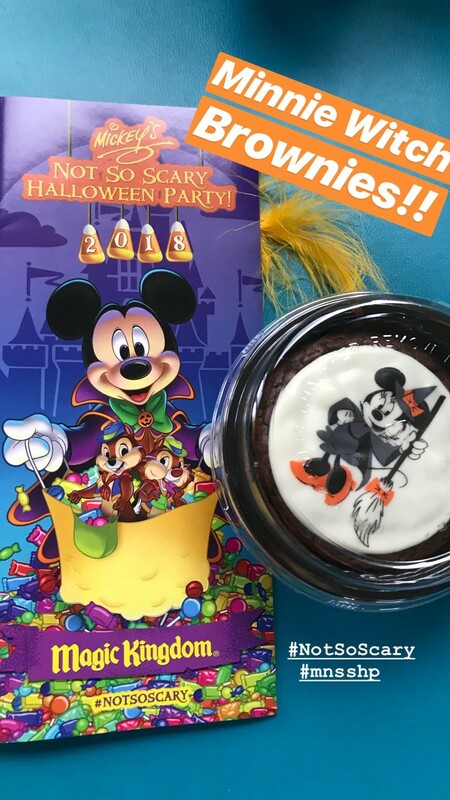 Also, special Disney Character appearances are made during the party included rarely seen villians and beloved favorites wearing costumes and dressed for Halloween. 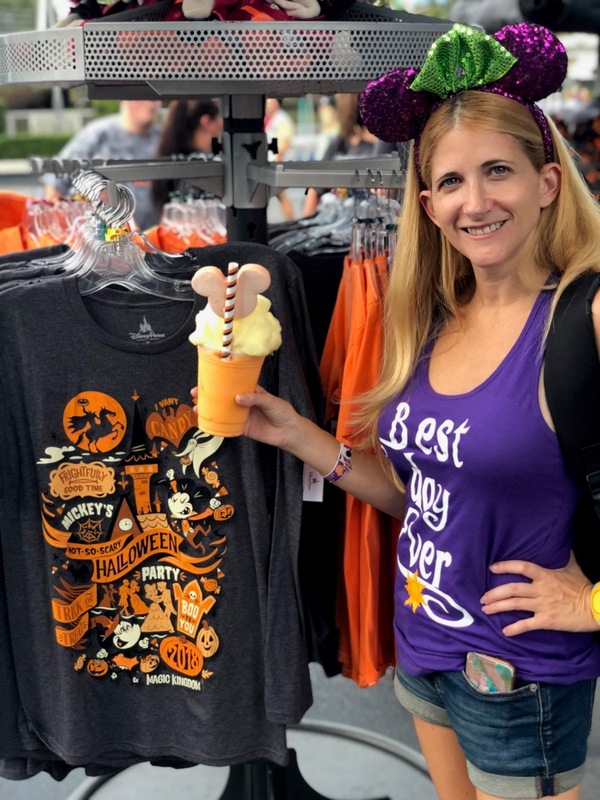 Each year, new t-shirt designs and pins are available to commemorate Mickey's Not So Scary Halloween Party. 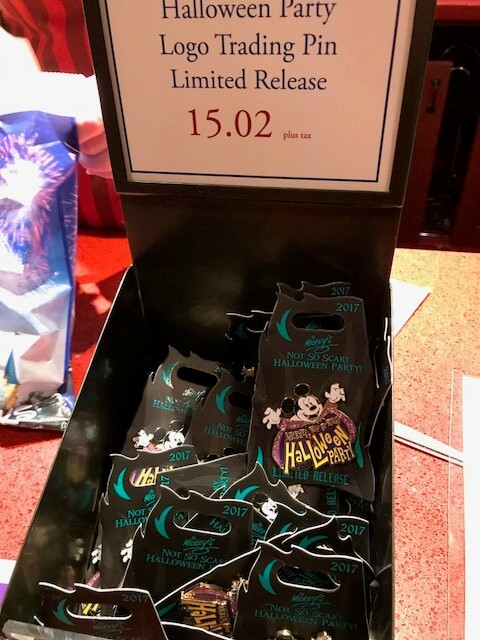 Also, annual passholders can purchase extra MNSSHP exclusives like a special pin (2017 it's a Hades' themed one) and a t-shirt. We like going to the Big Circus store by Dumbo since it has everything in one place and is usually less crowded.